Two years down the line from their debut, Fire On The Bright Sky, The Low Lows return with their quirksome take on alt. country, adopting a similarly reverberant, ever so slightly ghostly sounding aesthetic comparable to folks like Band Of Horses, who themselves in turn get compared to My Morning Jacket. That's the vibe anyhow. 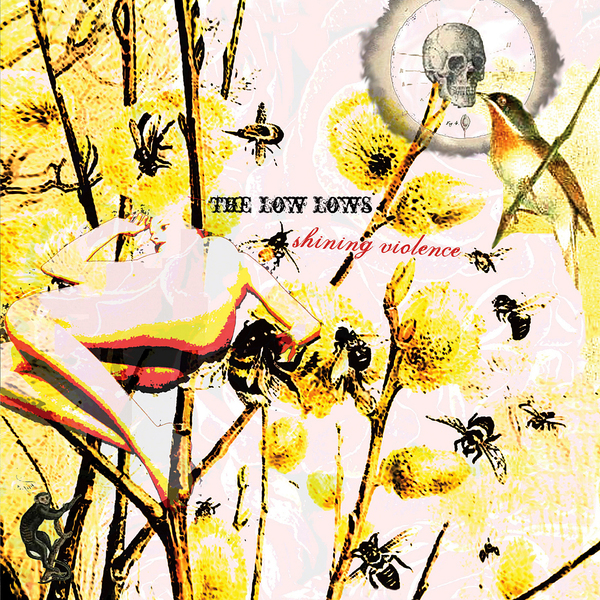 There's a varied line-up of instrumentation on Shining Violence however, calling upon lapsteel and other such country staples as well as brass sections, all of which is put to highly effective use on the lovely 'Disappear', a distorted ballad that fuses Jesus & Mary Chain fuzz with Calexico-style composition. Elsewhere the psyched boogie woogie of 'Five Ways I Didn't Die' spells a ghostly hoedown, while 'Raining In Eva' sets a course for sheer slowcore beauty. Excellent.